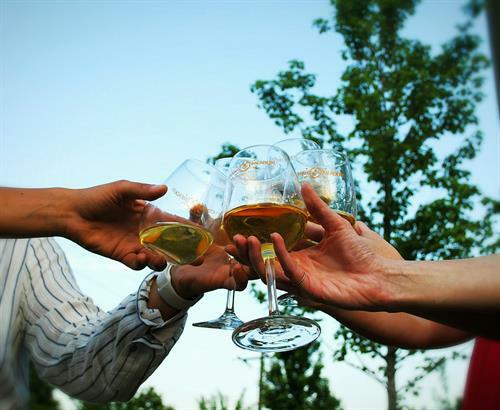 Specifically, Mead is also known as Honey Wine. During medieval times, mead was part of a marriage ritual, now known as the Honey Moon. Mead has a unique mouth-feel not shared by any other kind of alcohol, as it retains some of the character from honey, even if it is fermented dry (no remaining sweetness). The historical significance of early uses of mead plays a major role in modern culture, although its significance oftentimes goes unnoticed. During medieval times, mead was part of a marriage ritual. In fact, during Lithia, or the Summer Solstice, pagans believed that the month of June was considered to be the luckiest month in which to be married, and attributed this to the Honey Moon or Mead Moon. As tradition, newlyweds would drink mead daily following their wedding for the entire 28 ½ day long full moon phase. 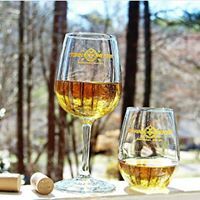 They were encouraged to consume this sweet wine to rouse good luck in their marriage; additionally, this honey wine (mead) would promote fertility and virility. From this ritual, the term “honeymoon” was born, referring to the time period following a wedding. From downtown Dahlonega at the Visitors Center, travel East on E. Main St. to Hwy 9, Turn Left and travel for 2.2 miles, we are located on the left side at 3003 Morrison Moore Pkwy. East on the hill.